The site which eventually became Hucknall was ideal for a settlement. It was located in the Leen valley on rising ground towards the north and west, sloping south east and beside a brook which was a tributary of the River Leen. Packed rubble foundations of a Saxon church dating from the 7th/8th centuries were found under the nave of the Parish Church by Canon Barber in 1938. No remains have been found of a settlement before this time. 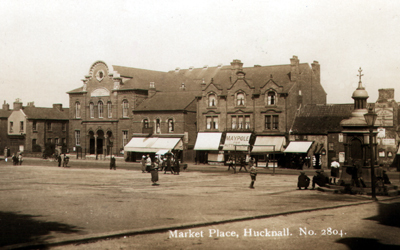 The name 'Hucknall' means Hucca�s healh or the nook of land which belonged to a Saxon called Hucca. 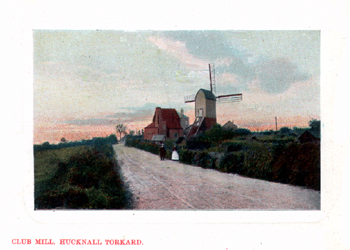 Documentary evidence begins when the settlement of �Hucknall� appears in the Domesday Book and, by the late 1100s, it had developed into a village known as Hucknall Torkard. 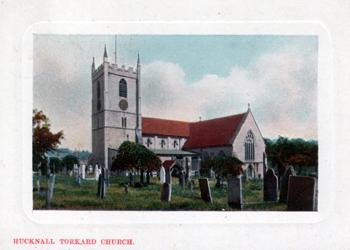 Torkard was the name of the main landowning family and this was to remain its name until 1916 when it reverted back to Hucknall. Over the years, it is maps which show the growth of the community from the open-field system to the town as we know it today. Street and place names commemorate buildings, areas or occupations from the past such as water mills, windmills, connery, lammas, and the long thin strips of land off High Street give the familiar �yard� names. The Red Lion Inn on High Street is probably the oldest public house and was used as a venue for Lord Byron's tenants to pay their rent. 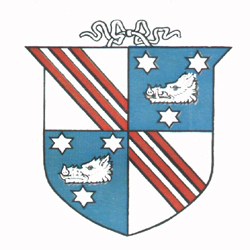 Hucknall Local Board was brought into being in 1867. From then onwards, vast improvements were made for the general welfare of the population. John Edward Ellis, who became responsible at a young age for the management of the colliery, was a Quaker, a man of high ideals whose enlightened influence and expert knowledge often guided decisions made by the Board. Under his inspiration, the Board made the first move towards providing a public water supply. Planning regulations were introduced for streets, houses and other buildings. Street lighting was improved, the Market Place was laid out in 1874, a Burial Board was established and many other improvements were made for the benefit of the population before Hucknall Urban District Council was constituted in 1894. Improvements continued over the years by the H.U.D.C. (Hucknall Urban District Council) until after Local Government reorganisation in 1974, when Hucknall became part of Ashfield District Council. 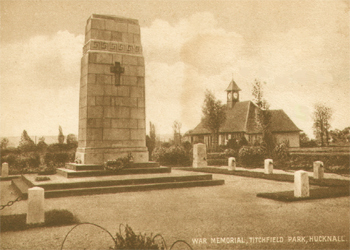 Titchfield Park, just out of town, was laid out on land given to the town by the Duke of Portland, in 1914, to commemorate his own Silver Wedding and his son�s 21st birthday. It is the location of the memorial, originally on the Market Place, to Zachariah Green and his family, who were well-known locally as healers and herbalists. Nearby is the Cenotaph, where Hucknall�s war dead are remembered. An easy walk from the park leads to the cemetery which opened in 1887 and contains headstones for the Commonwealth War Graves Commission from both World Wars as well as the great and good of the population. Right in the town centre is the Market Place where a busy colourful market has been held each Friday for 130 years. Beside the Market Place is Hucknall Library which opened in 1887 and is designated as a Local Studies Centre, therefore a great place for researching Hucknall families or finding out about the local history of the area.